Our signature Farmstead look but with a twist! 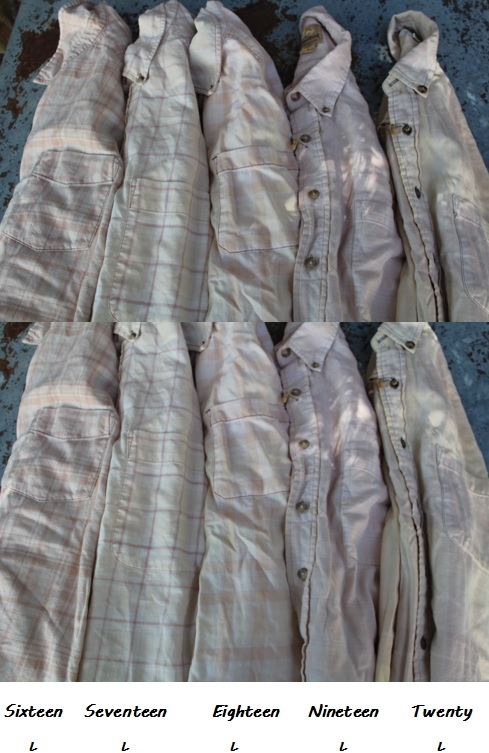 These sun-washed flannels are lighter in color and typically thinner than our ‘fluffy’ flannels in mostly pinks, peaches, and yellows. Each shirt is treated by hand - certain characteristics are a result of the aged material when paired with our secret formula leading to a unique, one-of-a-kind discovery.